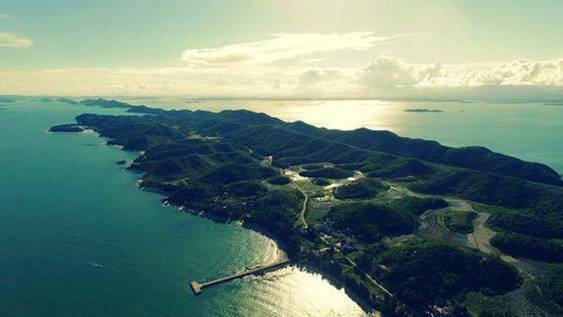 Cai Chien is a beautiful small island located in Hai Ha district, Mong Cai City, Quang Ninh Province (about 330 km from Hanoi). Nowadays, Cai Chien is still a relatively unspoiled island with beaches of fine white sand, surrounded by green casuarina line. With an area of ​​over 500 hectares of primary forest, this site is home to many species of birds and wild animals. 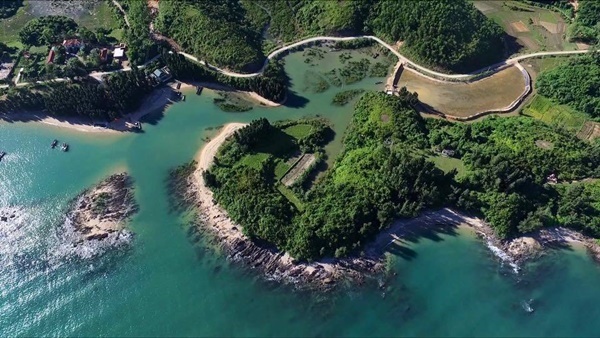 Cai Chien Island is the only island commune of Hai Ha district, Quang Ninh province. It is evaluated as having potential for tourism development because the scene is very beautiful with long white sandy beaches, the atmosphere is peaceful and serene. However, until now, Cai Chien Island is still not a complete resort, but is still under construction. The island also had electricity only in September 2015. Cai Chien Island has just over 120 households with about 550 people, this island is about 270 km2, but there are only about 108 hectares of arable land. 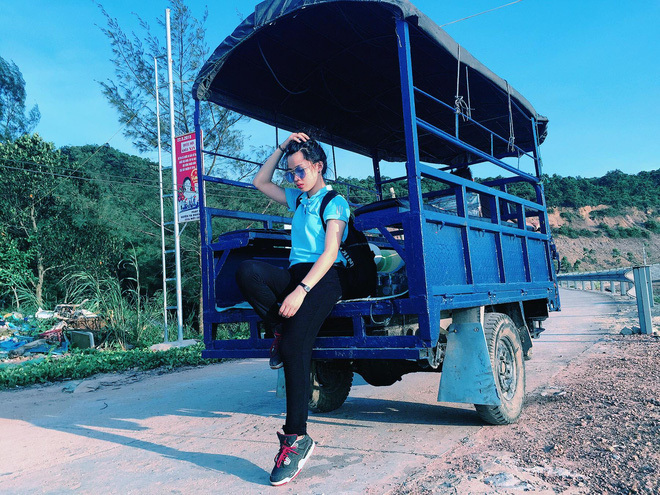 Generally, Cai Chien Island is still underdeveloped economically, so if you're familiar with luxury life with the availability of all services, coming here, you will feel a little uncomfortable. Despite the deprivation, in return, Cai Chien Island has unspoiled natural scenery, which is enough to attract travelers. In order to reach this beautiful island, you have to move to the port of Hai Ha, which is approximately 40-50 km from Mong Cai city center. If you travel by motorcycle, you can leave your vehicles at the port then take a boa in about 30 - 40 minutes to the island, or you can also travel by canoe or motorboat to shorten the time of moving. In addition to ferry, you can go by speedboat, which takes about 15-20 minutes but it is quite inconvenient due to the fact that the boat only departs when there are enough passengers. You can also bring your motorcycle to the island for ease of travel because the motorcycle or tram rental services are currently unavailable on Cai Chien island. Cai Chien is now equipped with electricity and concrete road; therefore, all activities on the island is not as difficult as before. On the island, the services of electric cars, tuk tuk to transport goods to the people, tourists are available. The prices are also somewhat more affordable than some of other tourism islands. Cai Chien is not too big, so you needn’t take the whole day to visit all the sites on this island, however, if you look at this place all day, you do not get bored. Sleeping on Cai Chien Island, you should get up early to catch the sunrise over the sea, and if interested, ask the restaurant's owner at the right beach to sail to catch snails in Con rapid, or go fishing at the wharf, there are plenty of unique, strange fish that you'll never know on the mainland. If you want to swim, you should go to Dau Rong (Dragon’s Head) beach, most of the beaches on Cai Chien has not been impacted by humans, so they are still extremely primitive. Dau Rong Beach is fairly wide with 2km long sandy beaches stretching, blue ocean waters. Along the coast, there is the lined casuarina forest. Here, there are not only the murmur of the waves, but also the birds chirping, which is very peaceful and poetic. 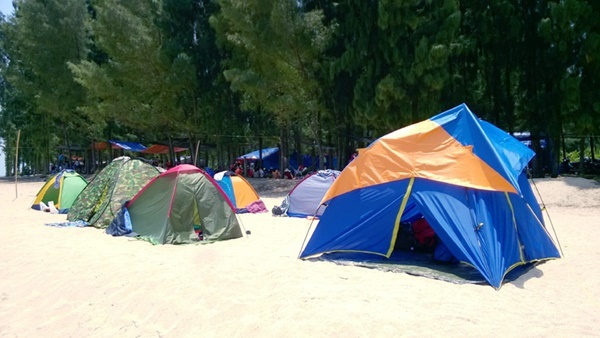 The most interesting way to explore Cai Chien island is to go camping. The pristine beauty of the island is suitable for you to transform into "Robinson on a desert island" with a night of camping right on the coast. You can prepare food in advance then bring to the island. If you travel groups, the idea of ​​opening a barbecue party by the sea will certainly extremely interesting. This small island is the place for you to escape from the hustle, bustle of the city. A day exploring the island with pristine nature or chat with the people here will give you a memorable experience.